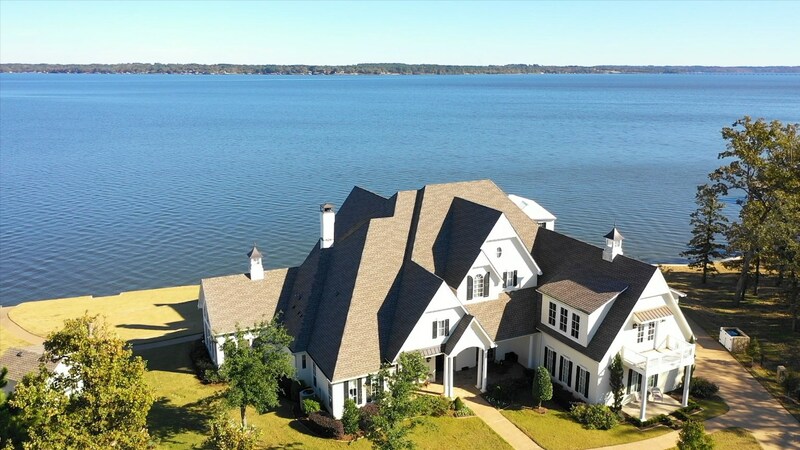 Celebrate the beauty of Lake Palestine from the comfort and elegance of this Nantucket inspired waterfront masterpiece. 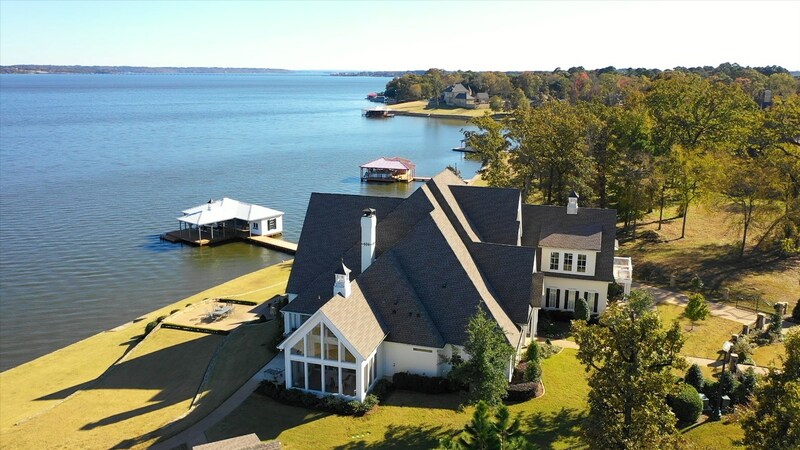 This luxury lakefront home is for sale in the gated Brown’s Landing subdivision in East Texas, only 1+ hours from Dallas and 3+ hours from Austin. Completed in 2016 with approximately 4700 sq. 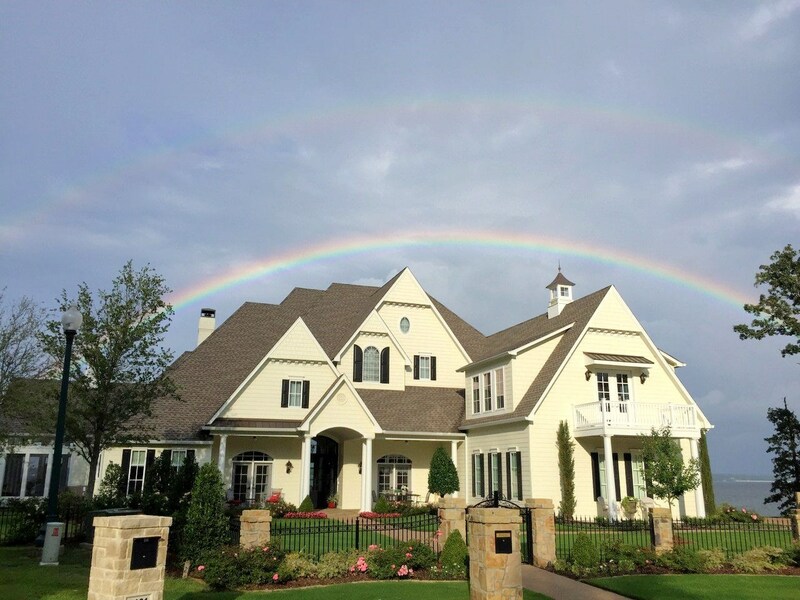 ft., this exceptional custom 4 bedroom, 4.5 bath home welcomes you to a Great Room with soaring vaulted and beamed ceilings and a wall of windows extending over 20’ tall! 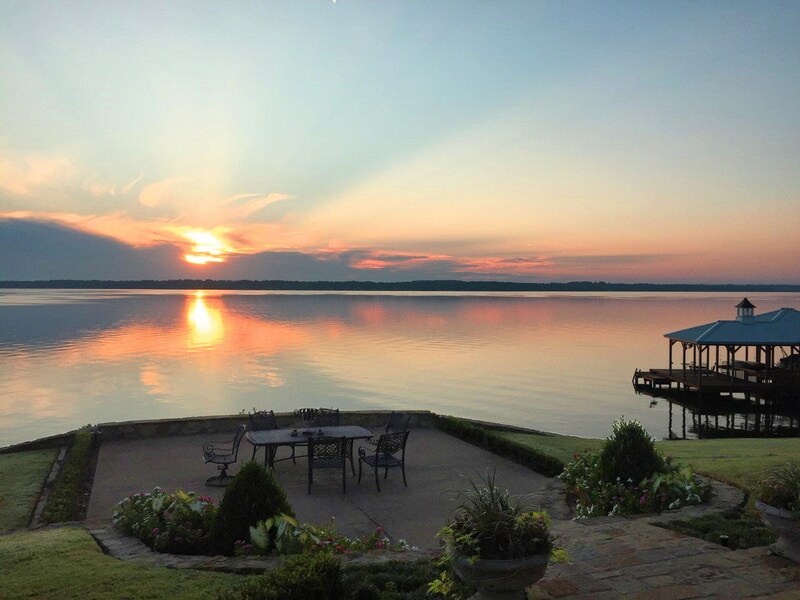 Kitchen area with gas cook-top, double ovens, 2 sinks & 2 dishwashers, Silestone counters, & island is open to the Great Room – all with unrestricted 180 degree views of one of the widest vistas on Lake Palestine. Double stone fireplace opens to Great Room and Sun Room. 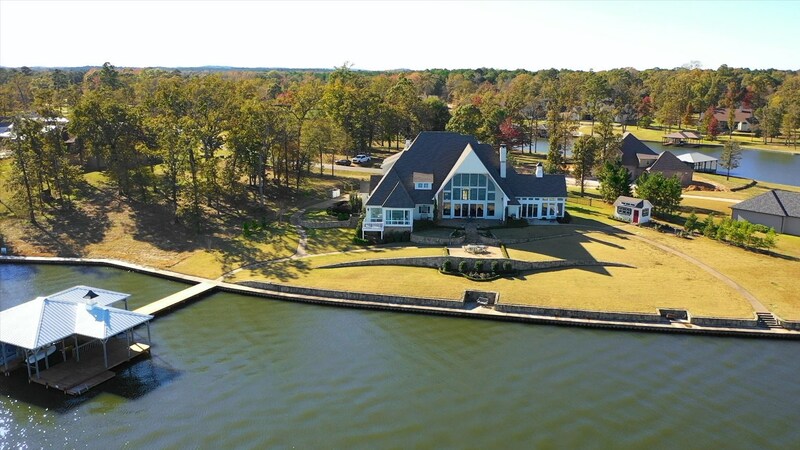 Retreat to the serene Master Suite including Master Bedroom with sitting area, Office, genuine Safe Room, Master Bath with dressing area, separate closets and balcony access, plus power black-out window treatments. 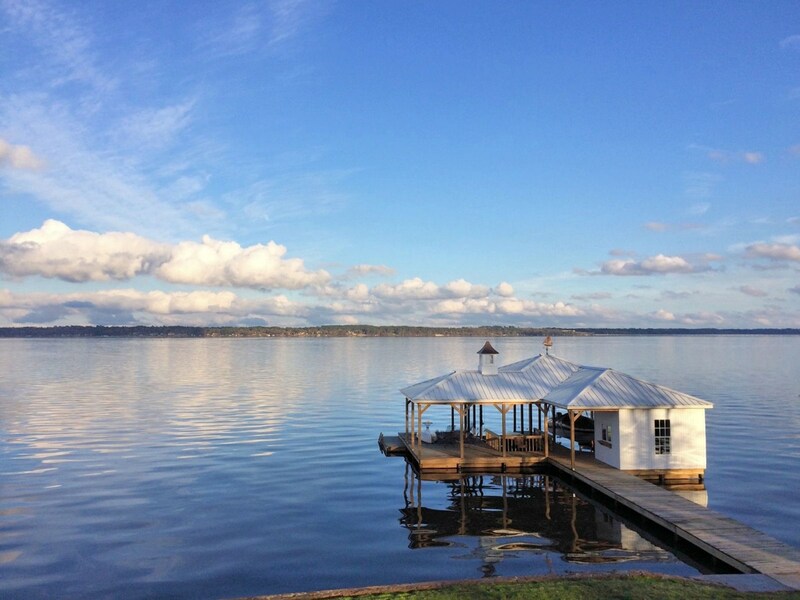 Each Guest Bedroom has with full bath & built-in coffee bars, accessed from separate hallway. Escape to the second floor bonus apartment with bedroom, living/game room with built-ins, wet bar, balcony, and full bath. Amazing storage throughout with extensive built-in cabinetry and closets. Screened porch plus 700+ sq. 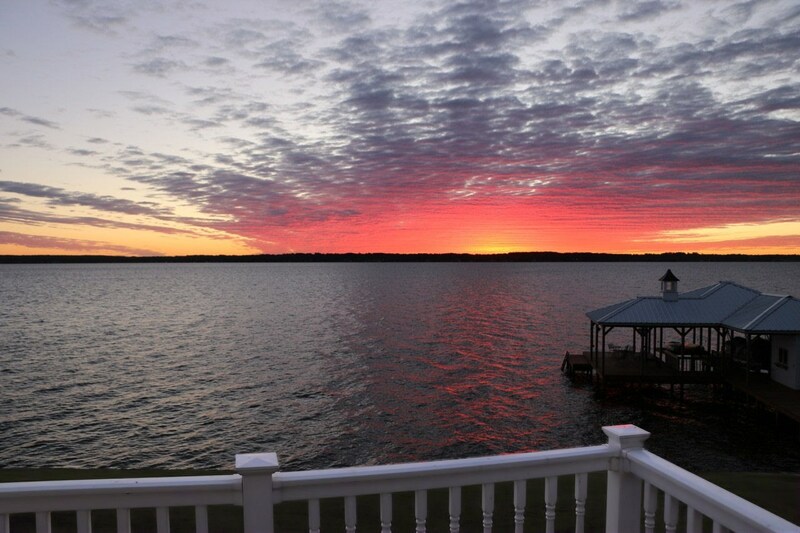 ft. of covered patio lakeside for outdoor enjoyment! The 3-car garage opens into a large mudroom and utility room with desk and built-in cabinetry. 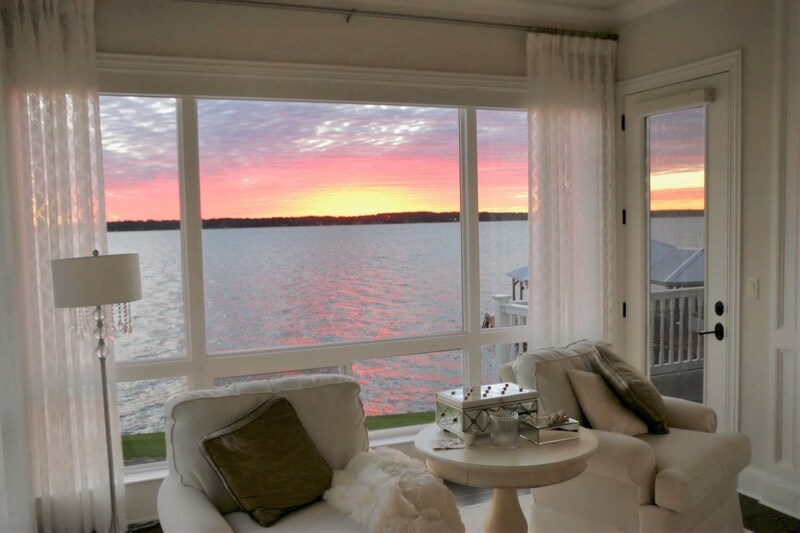 The energy efficient construction includes, foam insulation, high efficiency variable speed HVAC, recirculating water heater, insulated window and door glass, and a whole house generator. So many features! 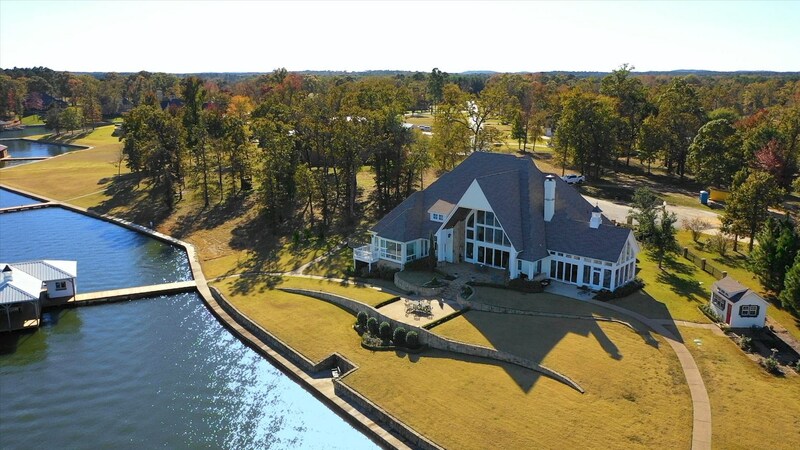 Back yard has several open patios, extensive stone retaining walls, & potting shed on .67 acre lot (above the 355’ elevation) and 370’ of sidewalk lined shoreline! 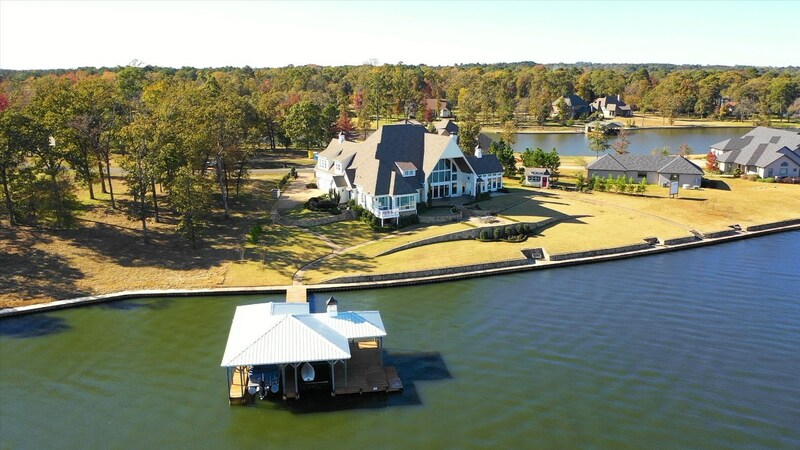 A large boat dock w/ 2 stalls with electric lifts plus storage for lake toys - accessible by step free walkways - completes this heavenly package. PARADISE FOUND!